@PeachtreePub The latest from @susan_stockdale cheerfully welcomes a new season. Fantastic Flowers, by Susan Stockdale: Peachtree Publishers, $17.99, 32 pages, ages 2-5. It’s beginning to feel a lot like spring, and a host of new non-fiction books are popping up like a field of crocuses and daffodils. Fantastic Flowers is a charmingly playful presentation of seventeen flowers found across the globe, and Stockdale’s bubbly illustrations are a lively match for the simple, lyrical descriptions–the Mediterranean bumblbee orchid that graces the front cover looks like a pair of magenta smiling honeybees, and other flowers resemble baboons, ballerinas, and pineapples. 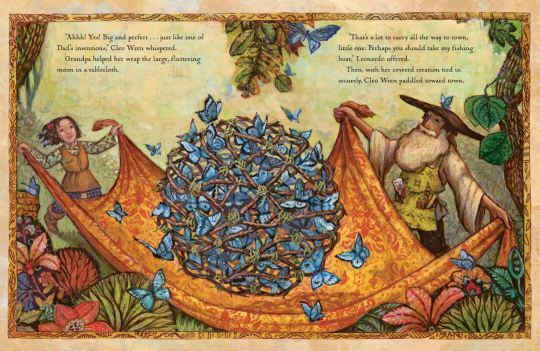 The book gently introduces young readers to the concept of object identification and encourages close observation skills, while back matter offers further scientific explanation about plants and pollinators. Fantastic Flowers offers cheerful anticpiation for the forthcoming season. Text and art copyright 2017 Susan Stockdale. Reproduced with permission from Peachtree Publishers. Books about smart girls are sweeping the picture-book industry, and rightly so; saccharine stories about ditzy dumbos are a dime a dozen, and girls need industrious, adventurous role-models to admire. Merryn’s Journey (Brian Hastings, illustrated by Tony Mora and Alexis Seabrook; Sterling Children’s Books, $14.95, 40 pages, ages 4-7, October 4, 2016) hopes to join the girl power pantheon, but it doesn’t quite make the cut. 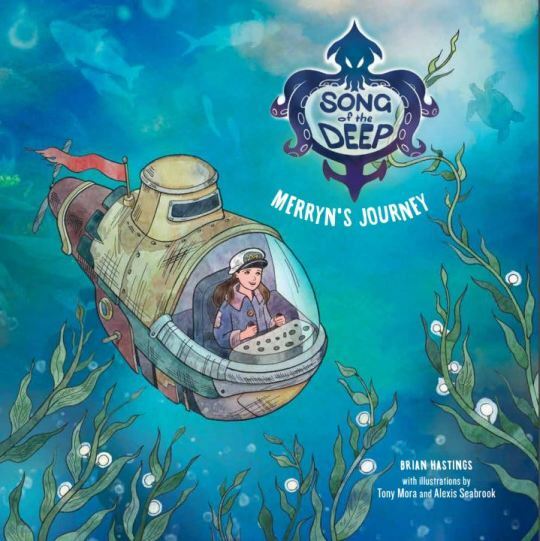 In video game developer Brian Hasting’s first children’s book, Merryn is a faithful, hardworking young girl whose fisherman father goes missing. A vivid dream convinces her to craft a submersible and retrieve him. Along the way, the intrepid Merryn meets a giant sea spider, baby sea serpent, mermaids, and other creatures. Though well-intentioned, the story falls flat–it should sing, but rather, it focuses too much on providing a female character who is admired for her skill instead of her beauty. Admirable for its goals, this narrative feels forced and formulaic. 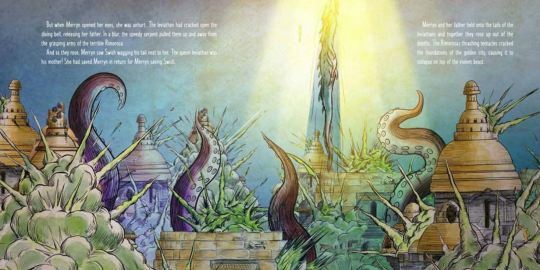 Sometimes, stories can be saved by great art, but Tony Mora and Alexis Seabrook’s illustrations are proasic, surprising given that the book is a companion to the Song of the Deep video game starring Merryn and her subaquatic consorts–the illustrations should be dynamic. Grandpré’s paper collages and acrylics bathe the characters in that famous Italian luminescence, each page richly in textured and full of nuance, just like family dynamics. 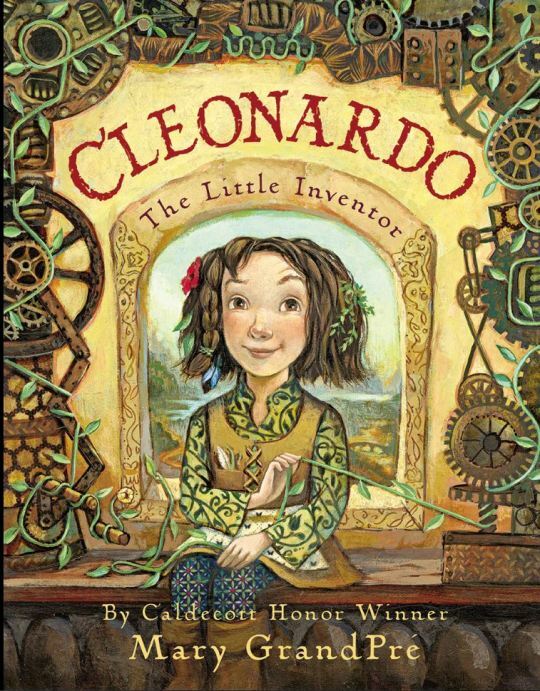 Images from Cleonardo, The Little Inventor written and illustrated by Mary GrandPré. Used with permission from Arthur A. Levine Books/Scholastic. 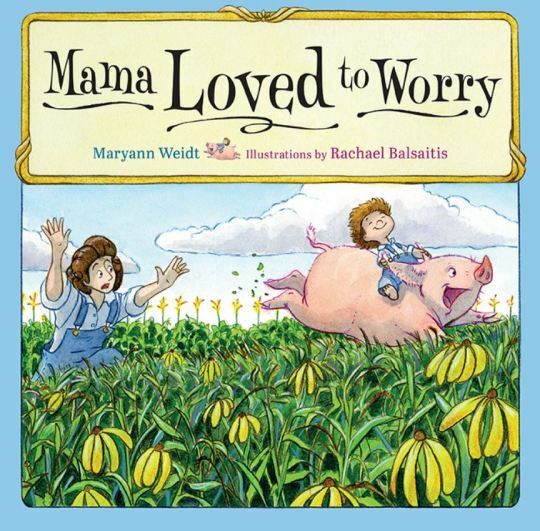 Our tour of self-published children’s picture books continues this week with Mama Loved to Worry, by Maryann Weidt and illustrated by Rachel Balsaitis. Minnesota Historical Society, $16.95, 32 pages, ages 4-8. * The Minnesota Historical Society (MNHS) is a non-profit organization based in St. Paul devoted to preserving and promoting the history and culture of Minnesota. The MNHS was incorporated in 1849 and is one of the largest and most prestigious historical societies in the U.S.
* The MNHS is a member of the American Association of University Presses, a non-profit that provides marketing assistance to over 130 member presses. * The book is 10 x 10, fully illustrated, and 32 pages long—all industry standards for children’s picture books. * The book has been properly formatted with title pages, front and rear flyleaves, and ISBN information. * The author and illustrator are properly cited for their contributions. * Mama Loved to Worry is a tall tale that takes place on a Midwestern farm—Mama is a “world-class worrywart” and there’s plenty to ruffle her feathers on Daisy Dell Farm. When she’s not knitting, sewing, or cooking, Mama saves Baby Eli from loose pigs, popping corn, and even a twister. Mama’s something of a homespun Wonder Woman—even though she’s clad in blue overalls, there’s something decidedly other-worldly about her ability to hold down the fort. Rich in local colloquialism, the book offers a fanciful glimpse of rural life on a farm. * Author Maryann Weidt is a Minnesota librarian and won the Minnesota Book Award for her previous children’s book, Daddy Played Music for the Cows. (Unlike the Mom’s Choice Awards, which are pay-to-play awards, the Minnesota Book Awards are presented by the Friends of the St. Paul Library System.) Weidt conducted research about Minnesota farms by visiting the Gale Family Library, part of the Minnesota History Center and the MNHS. * Illustrator Rachael Balsaitis is also a Minnesota native and has illustrated other state-themed books like Annie’s Plaid Shirt and Love is Forever. The artwork appears to be rendered in watercolor, though a quick note explaining the medium would be helpful. * This charming book offers a look at how one woman deals with life’s worries while also offering a glimpse of family farms, a way of life that’s all but disappeared from the American landscape. * The author and illustrator conducted research at the MNHS to create this book, and their knowledge is demonstrated throughout. * This book will appeal to Midwesterners proud of their heritage as well as travelers to the state in search of a sweet memento for their children. * Mama Loved to Worry is one in a series of picture books celebrating the state of Minnesota that have been recently published by MNHS Press, meeting the Society’s overriding mission of educational initiatives geared towards children. The final installment of this series will examine a book written by a former model-turned animal activist.